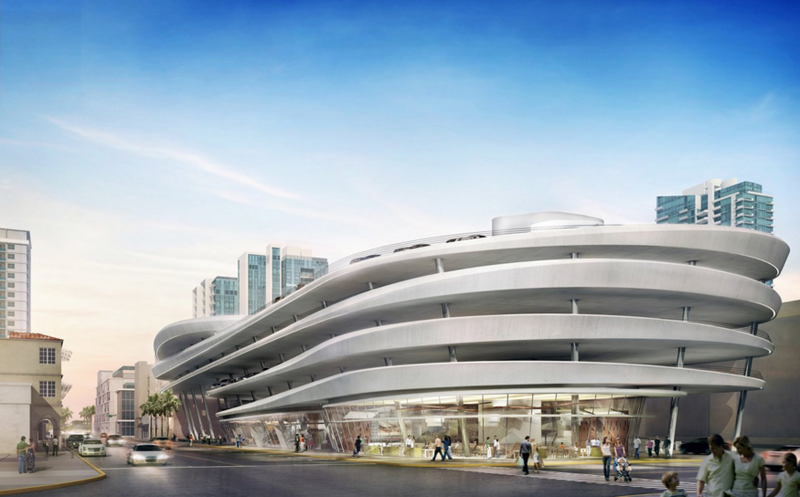 The City of Miami Beach has scrapped plans for a parking garage and public plaza designed by the late Zaha Hadid. Initiated in 2011, the project was supposed to replace two city-owned parking lots in the Collins Park neighborhood, situated behind the Miami City Ballet and local library. Initial cost estimates for the spiraling, all-white design came in at $50 million, around $23 million overbudget. The city and Zaha Hadid Architects (ZHA) collaborated on a design that brought costs down to $24 million, but city officials were not pleased with the more minimal garage 2.0: The structure had fewer parking spaces, the plaza was smaller, there was less space for retail, and the spirited signature curves of the original plan were muted or removed. Another version of the design (estimated cost: $29 million) was a good compromise for ZHA’s local collaborator, Berenblum Busch Architecture. 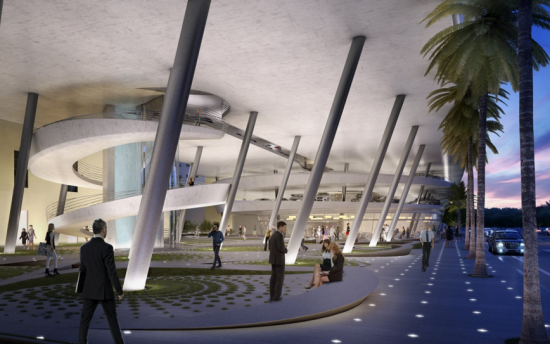 Gustavo Berenblum, principal, explained to the Miami Herald that the $29 million version retained the project’s driving design elements, but that another price cut below that diminished the “essence” of the project. Hadid had a special connection the project: Although she lived mostly in London, she owned a second home near the planned garage. Next steps? The downtown still needs parking, so it’s back to the drawing board. City officials will start the process afresh and request proposals for a garage that would also include housing on the upper stories. Perhaps the money saved on the project could go towards something pressing, like saving the city from mortal inundation.